This position is responsible for assisting our providers in effectively providing excellent patient care. Perform routine assisting duties for the Medical Director and volunteer physicians under direct, onsite supervision of an MD or RN as approved by the Medical Director. This will include but not be limited to obtaining vital signs, patient medical history, presenting problem & maintain examination/treatment rooms. Assist with examinations, procedures and treatments. Help maintain medical records to insure quality (includes patient history, problem lists, vital signs, patient communications, immunizations & medications) and act as “scribe” during patient visits. Scrubbing charts for upcoming appointments. Looking for recent labs, imaging, outside consultation notes, recent hospital records, and/or new medical records. Educate the patient within the scope of practice and as directed by supervising physician in health maintenance, disease prevention, and compliance with patients’ treatment plan. Perform procedural and diagnostic coding for reimbursement. Care Coordination: Serve as “communication liaison” between the physician and patient by assisting the patient in communicating their needs to the physician. Screen and follow-up test results. Sterilization of surgical instruments. Inventory of supplies and equipment. Complete White Bird Employee Orientation (NVT) and share in the responsibility of White Bird Main Clinic front desk coverage. Minimum one year experience in a medical practice. Ability to work with a wide range of clients including children, low/no income and homeless adults recognizing and respecting cultural diversity. Ability to utilize and apply medical terminology appropriately. Receive, organize, prioritize, store and maintain transmittable information utilizing electronic technology. Strong computer skills (MS Word, Excel, Internet, etc.) and the ability to effectively learn and/or utilize Electronic Health Records. Ability to identify and respond to issues of confidentiality. Knowledge of HIPAA. Understanding of “Standard Precautions, including hand washing and disposal of bio-hazardous materials. Willingness to participate in continuing education. Current Certification as a Certified Medical Assistant by a recognized certification body. Experience in working in a consensus environment. This position reports to the Medical Director. All positions at White Bird Clinic have a minimum 6 month probationary period. This position is responsible for providing direct patient care to our medical clinic’s patients and supporting the Medical Director/Staff Physician as needed. Negotiable hours, salary equivalent to $51/hour. White Bird Medical Clinic is a participant in the National Health Service Corps (NHSC) Loan Repayment Program. Provide direct patient care as directed by the Clinic’s Medical Director. Perform routine duties including, but not limited to histories, physicals, ordering of diagnostic tests and medications. Complete primary care visits and determine, establish and administer an overall treatment plan for patients and chronically ill clients. Participate in clinical care coordination, consults, and case management with members of the integrated primary care-behavioral health team. Provide appropriate medical records documentation in a consistent and timely manner on all patients in accordance with policy. Contribute to the continuous improvement of procedures, policies and materials affecting the Medical Clinic and its patients. Using the Electronic Health Record (EHR) system effectively to meet or exceed the documentation requirements to meet clinical quality benchmarks required by our grant funders and clinic accepted initiatives. Current unrestricted Family Nurse Practitioner (FNP) License with prescriptive privileges. Ability to be approved by the clinic’s Professional Liability Insurance provider. Ability to deliver services using trauma-informed, client-centered, and harm reduction practices. Previous experience and/or openness to providing culturally competent care to homeless and indigent patients. Previous experience and/or openness to providing culturally competent care to transgender, gender diverse and LGBTQ+ patients. Working knowledge of state health care laws and licensing board regulations. Strong computer skills; Outlook, Word, Excel and EHR experience. Maintain current BLS and complete annual blood borne pathogen training. Experience providing medical care to homeless and/or low-income populations. Two years experience in a primary care setting. Experience working in a consensus environment. This position reports to the Medical Director. NOTE: All positions at White Bird Clinic have a minimum 6 month probationary period. This position is being hired for up to 25 hours per week, and the salary is equivalent to $80/hr. Staff Physicians are responsible for healthcare delivery in an integrated, team-based, evidence based Patient Centered Medical Home. To apply for this position, email your CV and cover letter to ve@whitebirdclinic.org or fill out the application below. Responsible for provision of primary care services within the Medical Program. Document visits and assign ICD10 and CPT codes according to Medicare standards. NOTE: All positions at White Bird Clinic have a minimum 3-month probationary period. Please contact ve@whitebirdclinic.org for more information. 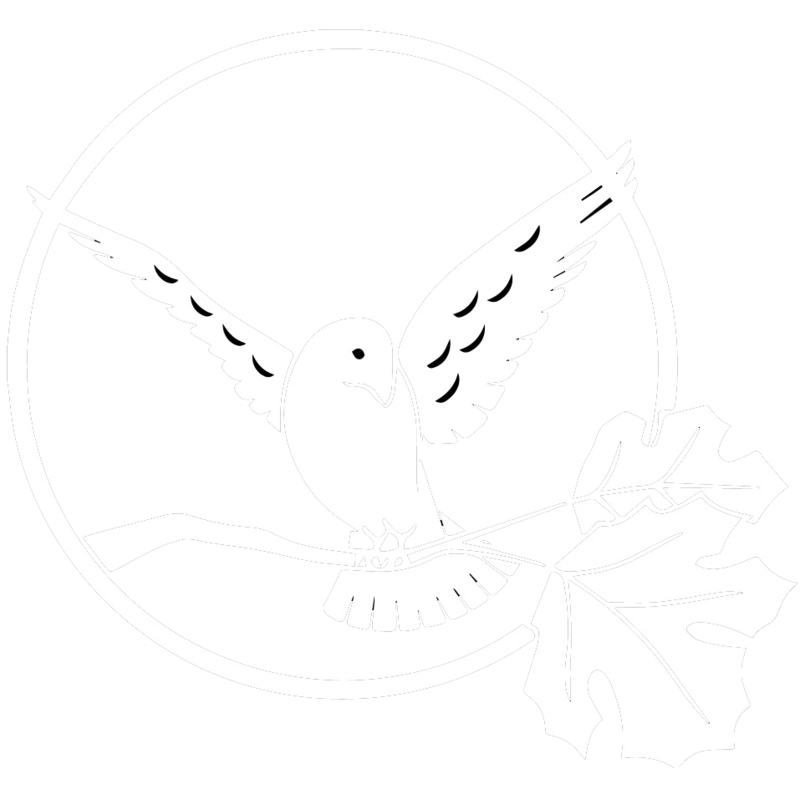 White Bird Clinic is a collective environment organized to enable people to gain control of their social, emotional, and physical well-being through direct service, education, and community. Our Medical Clinic is one branch of a larger nonprofit organization alongside dental care, counseling, crisis services, and more. We are a Primary Care Medical Home serving some of Eugene’s most vulnerable populations. We have a diverse group of patients including people with substance use diagnoses, chronic conditions, mental health diagnoses, trauma history, and social and behavioral barriers to care. We are looking for someone who is experienced with our population and comfortable diagnosing and treating patients with comorbid conditions. This position is being hired for 32 to 40 hours, and the salary is equivalent to $55/hr. Provide direct patient care as directed by the Clinic’s Medical Director. Assess, evaluate, diagnose, prescribe, and follow up with Clinic’s mental health patients. Review lab results and process medication refill requests as directed by the Clinic’s Medical Director / Staff Physician. Maintain charts to ensure quality of patient records including training as needed to effectively use our NextGen EHR system. Assist Front Office Reception staff in answering patients’ medical questions. Cover for the Staff Physician in case of illness, vacation, or scheduled training within scope of practice. Participate in weekly care coordination meeting with other medical and mental health providers. Previous experience and/or openness to providing culturally sensitive care to homeless and indigent patients. Previous experience and/or openness to providing culturally sensitive care to transgender, gender diverse and LGBTQ+ patients. Minimum two years experience in a medical practice. NOTE: All positions at White Bird Clinic have a minimum 3 month probationary period. As a team member, this position is part of a program to assist homeless individuals eligible for public or private health insurance. Learn the eligibility requirements, the plans available and enrollment process. Maintain certification with Oregon Health Authority. Work with team to develop presentations. Present information to groups and to eligible individuals by appointment, phone or in the field. Lead consumers through application and enrollment process. Document contacts for program statistics. Complete reports for timely and accurate submissions. At least two years of experience in a homeless, crisis intervention, mental health, information and referral or substance abuse environment. Ability to work comfortably and effectively with various populations, especially homeless. Ability to network with other agencies. Ability to make group presentations and assist individuals with benefits/entitlements. Basic computer skills, including work processing and data entry. Written and oral communications skills. Pass the required criminal background check. Complete all required trainings, pass and maintain certification. Complete White Bird’s new employee orientation. Experience in team work and in leadership role. Trained and experienced in working with Oregon Health Authority and use of their portal. White Bird Clinic provides ongoing mental health treatment/counseling through Oregon Health Plan, local and state grants, and low-cost sliding scale fees. These services are delivered by both paid and volunteer staff, both credentialed and un-credentialed. We are seeking an individual to coordinate the clinical and organizational elements of the counseling program. Counseling licensure in Oregon: eg-LCSW, LMFT, LPC, etc. QMHP eligible – Master’s or Ph.D. in Counseling or related mental health field, and Oregon license. Experience with counseling individuals, couples, families. Experienced and credentialed (or eligible) for providing clinical supervision. Experience working with clients who are low/no income, also with co-occurring disorders and a wide variety of clinical issues. Experience with administrative tasks and functions. Have, or be able to obtain, BLS or CPR certification. Interest and ability to work collaboratively in a collective, using a consensus-based decision making model. Must be able to pass a criminal background check prior to work start date. Experience working with vulnerable populations, such as people experiencing homelessness. Interest in a long-term commitment. Carry a small caseload of counseling clients. Provide individual supervision on both scheduled and as-needed basis, and participate in group clinical supervision. Review clinical files and approve treatment plans. Interface with other programs, agencies, outside systems, and funders. Participate in grant/contract development, renewal, reporting, compliance. Share in the training to new department staff, NVT, and the periodic counseling course. Attend relevant department and agency meetings. Complete new employee orientation training. Reports to core administrative team for purposes of quality assurance, accountability, and continuous improvement of services. Work CAHOOTS shifts patrolling the streets and parks of Eugene and Springfield as dispatched by 911. Assume primary responsibility for making mental health assessments of clients and for providing crisis counseling. Attend required department and clinic meetings and share in other responsibilities as relevant. Complete all required trainings, including defensive driver training through the City of Eugene as arranged by White Bird Clinic. Be commissioned by the City of Eugene as a Transportation Officer to perform the duties set forth in ORS 430.399, i.e., to decide whether to transport an intoxicated person to a treatment facility. In no case will CAHOOTS transport anyone over their expressed objections. Complete White Bird’s New Volunteer Training within four months of hire. Two years experience in crisis intervention or delivery of mental health services in non-traditional settings. Ability to work effectively with a diverse population including impoverished and alienated persons. Ability to drive and to repeatedly climb in and out of a commercial van, ability to operate a cell phone, police radio and lap-top computer, ability to occasionally lift at least 50 kilograms. Must be able to pass a stringent criminal background check and driving record review, both conducted by the Eugene Police Department. Current certification in first aid & CPR. All new employees will be on probation for six months. Work CAHOOTS shifts patrolling the streets & parks of Eugene as dispatched by 911. Have primary responsibility for making medical assessments of clients and for providing medical care within the EMT-B scope of practice in accordance with CAHOOTS protocols and standing orders. Attend required department & clinic meetings & share in other responsibilities as relevant. Currently licensed as an EMT or RN. Current professional level CPR certification. We are collecting a pool of applications in anticipation of hiring several positions soon. We do not provide crisis services by email. To access CAHOOTS services, call police non-emergency numbers 541-726-3714 (Springfield) and 541-682-5111 (Eugene).